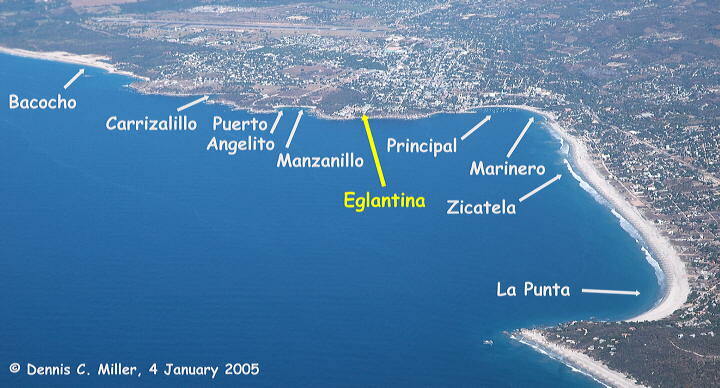 These aerial photos of Eglantina and Puerto Escondido were taken in January, 2001. 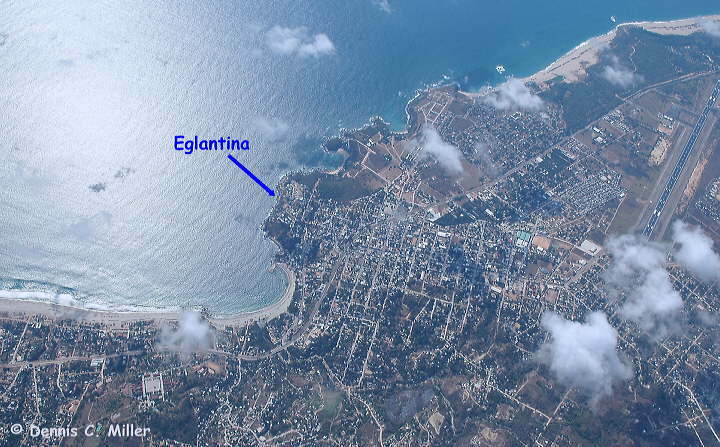 You can see the relationship of Eglantina's two condominium buildings. 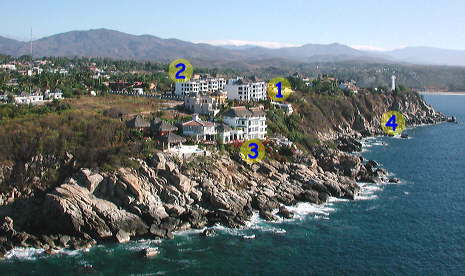 The following pictures were taken in January, 2005, and are copyright Dennis C. Miller. 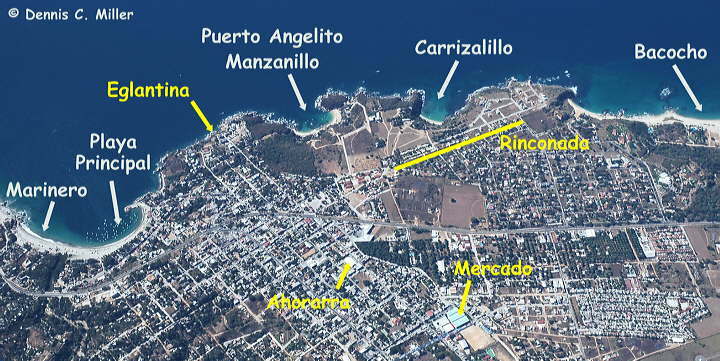 They are not to be used on other web sites without permission. 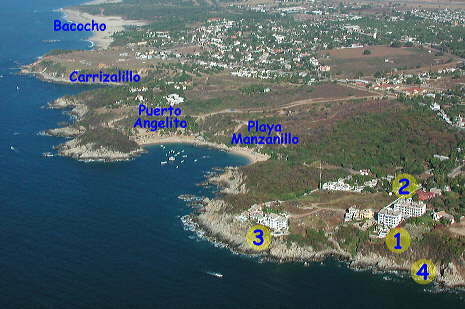 There are more aerial pictures of Puerto Escondido on my Aerial-2005 link. 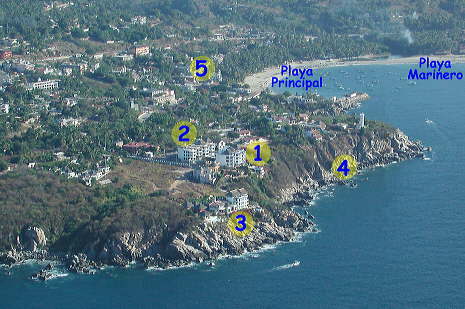 For aerial photos of all of Puerto Escondido's beaches, go to my Beaches link.